South Australian Seed Conservation Centre The South Australian Seed Conservation Centre is located at Adelaide Botanic Garden, and was established to help safeguard our flora against extinction. State Herbarium of South Australia Principal knowledge and information resource on South Australia's native and naturalised plant, macroalgae and macrofungal biodiversity. 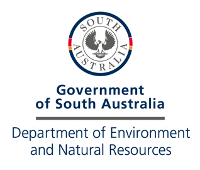 Click to view records for the Department of Environment, Water and Natural Resources.